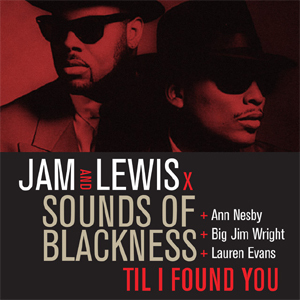 Sounds of Blackness, Ann Nesby, Jam & Lewis? We're here for it. Since the mid-‘80’s, Jimmy Jam and Terry Lewis has been a permanent fixture in the concourse of heavyweight music producers. Certainly they’ve made their mark making a slew of #1’s for Janet Jackson (and remain faithful to that task, even working on her latest LP, 2015’s Unbreakable and 2018’s single “Made for Now”), but the Minneapolis duo has worked on a Who’s Who of icons, virtually any and everyone in pop and R&B music. 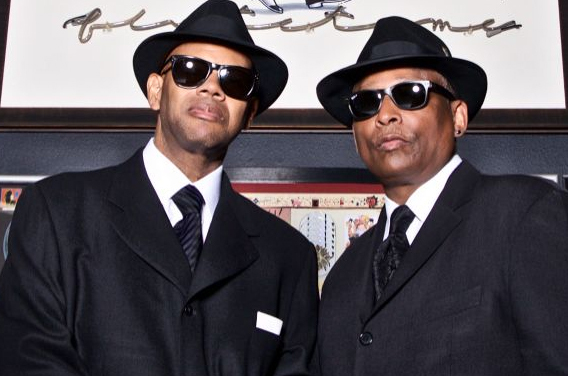 Now, almost forty years in the music publishing game, Jam & Lewis are reviving their shuttered label of Perspective Records, once headquarters to groundbreaking Minneapolis talent including Sounds of Blackness and Mint Condition, for a retrospective volume of new music in what feels like the contemporary R&B reboot we all dreamed of. 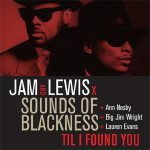 After hearing “Til I Found You, a tune that features a surprise reunion with the Sounds of Blackness, former lead lady Ann Nesby and the late Big Jim Wright, it does conjure memories of old as melodies are hinged on soulful gospel harmonies, plenty of Nesby’s melisma and revival-styled belting. The cool opening chant of “the Blackness” is a pleasant throwback to the intro of “Optimistic,” Although the lyrical interpretation could very well be used for a one-size-fits-all romance, there are lyrical tinges of crossover inspirational here (“Heaven must be like this, it must be like this,” the choir chants towards the end), a well-worn element in Sounds of Blackness’ biggest radio hits. Where the song hits its apex is when the warm, bubbly chorus strikes, which pieces the melodies of Janet’s “Like You Don’t Love Me” with snuggly lines sung in unison. But even with all of that, it doesn’t rise to the earworm heard on “Optimistic.” That song, a glorious wonder in the summer of 1991 and the very song that launched their label, was utter perfection: ripe with their signature Roland keyboard riffs, glowing synth strings, funky drum machine action, synth bass glory, crystal clear production and mesmerized with the Sounds’ rapturous pipes. This is just a decent joy ride, a slice of nostalgia with an agenda of charity. It would’ve been the typical FM radio gospel you heard blasting on a Sunday morning commute to church in the late ’90’s. This will do for now, until something meatier and quintessential comes along. Jam & Lewis: Volume One is slated to drop this summer.